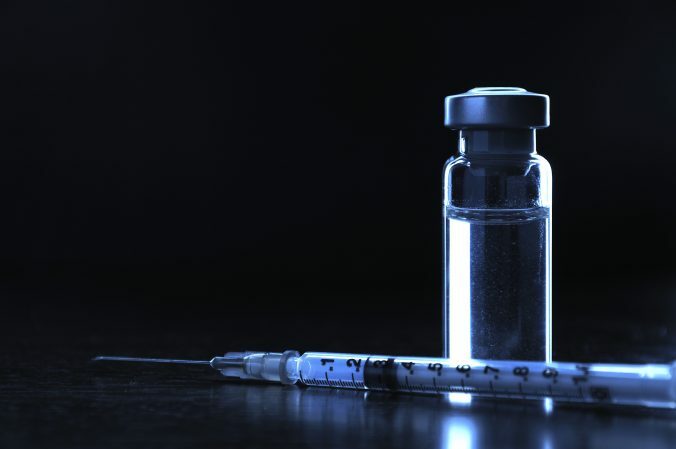 Recently, there have been a few peer-reviewed articles published analyzing the effects of non-medical vaccines exemptions. There are usually two types of non-medical exemptions, philosophical, where the parents just don’t like vaccines because they’ve bought into the pseudoscience of vaccine denialism, or religious, where they use the cover of fake religions (only one tiny mainstream religion is opposed to vaccinations) to deny the huge health benefits of vaccinating their children. I reviewed one article that described that as a result of these exemptions, rates have increased quickly in whooping cough infections, is non-trivial disease. According to the Centers for Disease Control and Prevention, pertussis (whooping cough) can cause serious illness in infants, children and adults. The disease usually starts with cold-like symptoms and maybe a mild cough or fever. After 1 to 2 weeks, severe coughing can begin. Unlike the common cold, pertussis can become a series of coughing fits that continues for weeks. In infants, the cough can be minimal or not even there. Infants may have a symptom known as “apnea.” Apnea is a pause in the child’s breathing pattern. Pertussis is most dangerous for babies. More than half of infants younger than 1 year of age who get the disease must be hospitalized. Approximately 1-2% of infants who are hospitalized from pertussis will die. Inconvenience (that is, the parents can’t be bothered to get their children immunized), bogus religious beliefs, and increased concerns, based on little actual evidence, about the risks of vaccination, are leading more US parents to refuse to vaccinate their children. A recent article, which investigated the rates of vaccination by state (while analyzing the ease of obtaining non-medical exemptions), showed that parents are increasingly able to refuse vaccination in states that have relatively simple procedures for immunization exemption. Some states, fearing a public health crisis, have responded by putting in place more burdensome procedures for parents of school-aged children to opt-out. All 50 states and the District of Columbia allow vaccination exemptions for medical reasons, while 49 states and the District of Columbia allow exemptions for religious reasons (West Virginia being the only state that doesn’t). Only eighteen states allow exemptions for school-aged children for philosophical reasons (people who strongly object to immunization for reasons based on their own personal beliefs, not associated with any religion). In this study, researchers also attempted to quantify the complexity of each state’s exemption processes to determine if they played a role in parents’ decisions to refuse immunizations. “Easy states” only require parents to complete an easily obtained standardized form; “medium states” require parents to obtain a standardized form that must be obtained from the local health department, attend a vaccine education session with a school nurse, or compose a statement of their objection to immunization on religious or philosophical grounds; “difficult states” require parents to complete a standardized form or write a letter explaining their opposition to immunization as well as having the form or letter notarized by a notary public. States with easier exemption requirements, non-medical exemption rates were found to be more than twice as high as those in states with more difficult requirements. This led researchers to conclude that states with easy exemption processes do in fact have lower vaccination rates, thereby contributing to outbreaks of measles and other childhood infections in these areas. However, there were some exceptions. Connecticut, Maryland and South Dakota had relatively easy exemption processes, yet had non-medical exemption rates of less than 1%, probably because they don’t allow philosophical exemptions. Our analysis confirmed earlier studies that described an inverse relationship between nonmedical exemption rates and the complexity of exemption application procedures and showed higher exemption rates in states permitting exemptions for philosophical, rather than solely religious, reasons. The past several decades have seen a shift in parental concerns from disease prevention to vaccination risks, largely and paradoxically because of the success of largescale immunization. Despite the increasing visibility of pockets of unvaccinated schoolchildren and associated outbreaks of vaccine-preventable diseases, attempts by state legislatures to allow more parents to opt out of mandatory school vaccinations continue. Without sweeping social and policy change, the current trajectory suggests continued growth in exemptions and perhaps in rates of vaccine-preventable diseases. However, new laws in California, Vermont, and Washington point to requiring immunization education as a key legislative avenue through which to control rising exemption rates. Actions by state health departments to change policy without new legislation, through encouraging yearly educational sessions with school nurses for parents reluctant to have their children immunized, might also produce modest reductions in the rates of exemptions. With the renewed presence of vaccinepreventable diseases comes an obligation for public health research to both seek and evaluate methods of controlling nonmedical exemptions. Point #2, that the success of immunization has lead to a complacency about vaccinating along with a concomitant shift in attitudes towards the slight risk of vaccination as opposed to the huge and scientifically supported benefits is critical. I think that if there was an actual fear that your kids would get polio, measles, smallpox or any of the vaccine preventable diseases, there would be a sea change shift in parental attitudes from vaccine denialism to vaccine support. The evidence, stated in the article, that those states that enforce vaccine education prior to obtaining an exemption show an almost immediate drop in the exemption rate. Not all vaccine deniers will be influenced by the evidence provided by a healthcare worker, we know that, but those that sit on the fence may be quickly influenced by the real medical evidence. Again, as I’ve said many times, we should eliminate all exemptions unless the parent wants to send their child to a private school that doesn’t demand immunizations as a condition of enrolling. But I’ll have to wait until the American political system actually takes into consideration real evidence. OK, that’ll be a long wait.